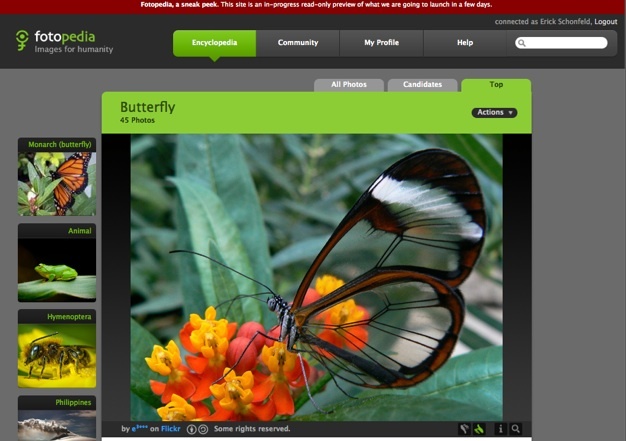 One of the features of Fotonauts which has yet to be turned on is the ability to turn any photo album into a Web page, complete with tags, associated Wikipedia entry, and Google map information where available. 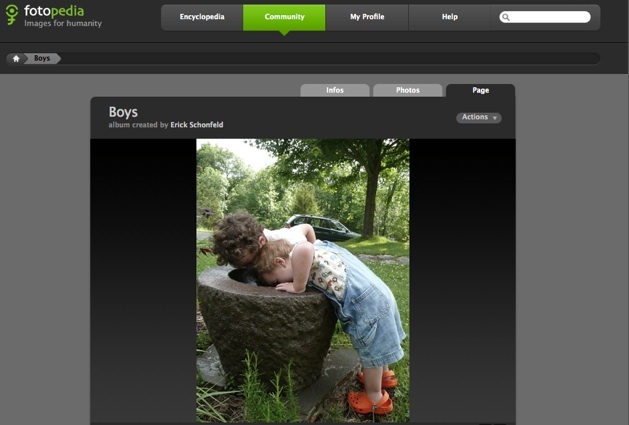 Fotopedia showcases some of the same public albums you can see in the Fotonauts client, plus it adds a few twists. Each photo can be voted up or down or flagged as inappropriate. There is an Encyclopedia tab, which shows albums by topic/tag. 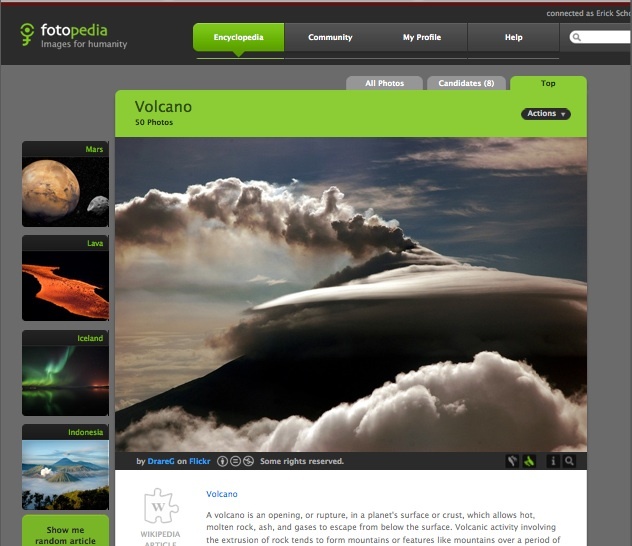 For instance, you can see albums about Volcanos, butterflies, or Venice. In addition to the photos, there is also an active community. You can follow other people or follow specific albums. You can also see individual profiles when you are logged in. You can also share albums as widgets. (I’ve included ones for Volcano and butterfly albums below).